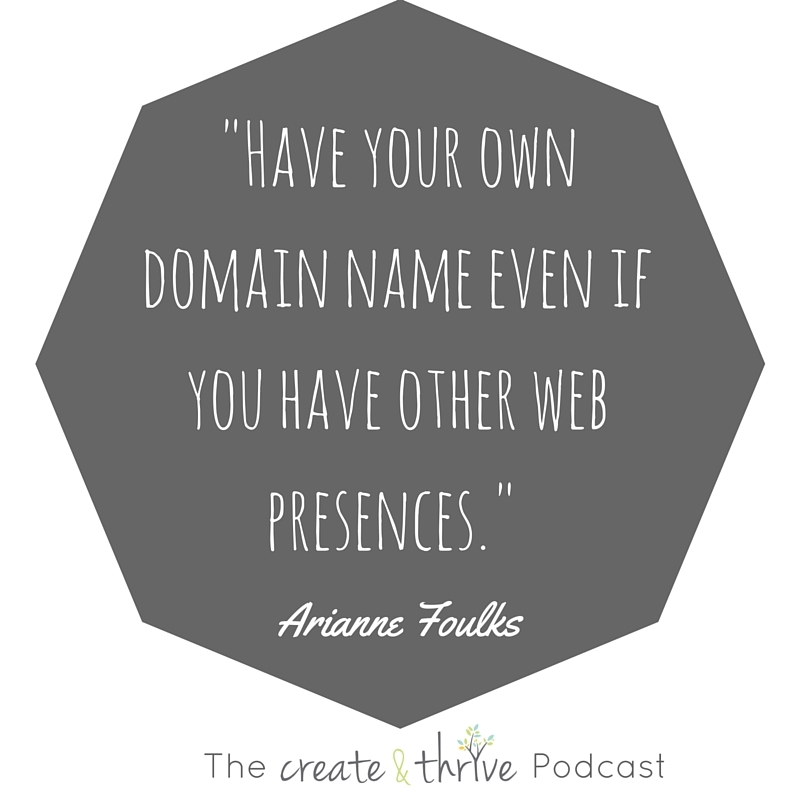 Today I am talking with the amazing Arianne Foulks from Aeolidia, with whom I discuss the essential website design and content elements that will ensure your site invites people in and encourages them to want to shop with you. Arianne has a wildly successful web and graphic design studio, and directs a team of people who craft gorgeous websites for creatives. I invited her on the show because she knows what works! In this episode we talk about logo design, photography, content, and more – all the things which a great website needs to get right. It’s so important to have your own home on the internet – somewhere that represents your business to the world and tells your business story. But it can be hard to know what to focus on when creating a website, as there are so many possibilities! Listen in for Arianne’s top tips for making sure your business’s online home is the best it can be. Having your own domain belongs to you and nobody else unlike Facebook and Etsy when your shopfront belongs to those companies. People want to go at their leisure and find out about you online before getting in contact. It’s like having a menu in a restaurant, it’s a way to see what’s on offer before you sit down to eat. Your about page is the most important thing to get done first on your website. Big beautiful photos are so important. Tell a story with your products through styling. Make sure you tell people your name so they feel they know you a little more. It can be important to have both their own website and other online stores if possible. It’s not enough to rely on Etsy or another platform to send them buyers. Build up an audience on your own website. StitchLabs (This site/resource is no longer available): A way to keep your inventory up to date on multiple platforms without having to do it manually. It’s still very important to blog even when you have an ecommerce site. You need to enjoy blogging to want to blog. 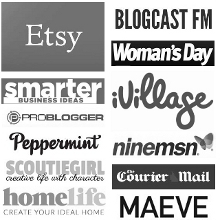 Blogging brings traffic to your site – partly through Google and SEO (Search Engine Optimisation). Blogging gives you keywords which will eventually list on Google and traffic will come to you over the years. Establish yourself as an expert in something. Once you start blogging it makes all your other marketing efforts easier. Your social media is made much easier when you have your blog written and you can borrow content. Make sure you’re keeping your target market in mind. Video can be a great way to get more people interested in your website. Make sure you have some keywords associated with your video so it’s searchable. Think about it more like a ‘keyphrase’. What are your customers going to be typing in? Try not to use jargon and lingo that your customers may not know. Keep working on your website as long as it doesn’t take you away from other aspects of your business that also may need work.